Apple’s iCloud-Backup often uses more space than needed. Follow the steps below to reduce space. I could reproduce this behaviour frequently using iPad and iPhone with iOS 6. 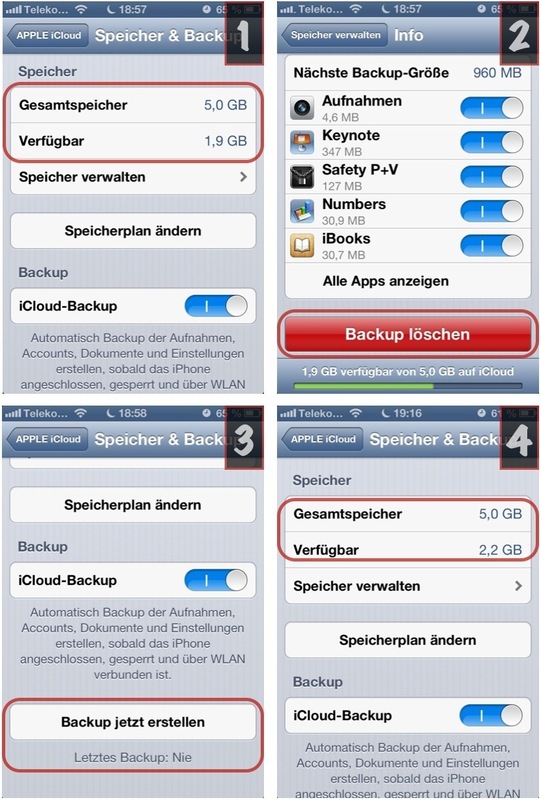 In all cases no settings of iCloud-Backup (activate/deactivate backup of app-data) have been changed and no apps have been used.